It is difficult enough being a teenager or young adult or even in your mid-thirties *grin* without also suffering a skin condition like acne. Worst yet is if the acne has been the plague of your life since forever, it can lead to loss of confidence, low self esteem, scarring and that's why some females are wont to live their lives in public under the mask of what they call makeup. You've got a lot of questions about the dermaroller treatment right? So do I. It is a hand-held device with a roller on one end. The roller generally has over one hundred, medical quality, stainless steel micro needles on it. Some have a single row of needles while others have multiple rows. How many needles and how long the needle lengths are will vary from roller to roller. For instance, less needles in shorter lengths are used for delicate skin like around the eyes while longer needles in multiple rows are used for large areas like the stomach. The Dermaroller uses a procedure called microneedling to treat the skin. The device is rolled across the surface of the skin. This allows the needles to penetrate the epidermis, or surface, in order to reach the dermal layer. By piercing this layer, your skin reacts by initiating repairs to replace old, damaged cells with regenerated skin cells. How does it reduce a scar? To explain how it works, you need to understand how the scar got there to begin with. Let's begin - when there is tissue damage to the deep layer of skin ie. the dermis, the skin reacts by producing collagen fibers to immediately stop the injury from introducing infections to the rest of the body. Those collagen fibers form the scar that is left behind. So, depending on how deep and large the injury is, the scar can be either very mild and unnoticeable or prominent and unsightly. Using the microneedling procedure on the scars will stimulate the skin to repair the scar tissue. By generating new cells, it reduces the scar mass by replacing the scarred cells with undamaged ones. Repeating the procedure will continue to reduce the scar over time. Does the Dermaroller work on all scars? Yes it does. But that depends on how deep and how thick the scar is. Mild scarring can easily be treated using a shorter needle length. Deeper scarring, especially deep pitting, will require longer needles and assistance with the repair. Collagen masks or serums are highly recommended in conjunction with the Dermaroller treatments for the deeper scars. Do understand that some scars are too deep and may require laser therapy to permanently remove visible scarring. Can anyone use a Dermaroller? The needles on Dermarollers purchased for home use are not as long as those purchased by a licensed clinic. It is too easy for someone to apply too much pressure or use the wrong needle depth when they are not trained to know how to properly do this. To avoid further damage, it is recommended to use 1.5 mm or smaller needle lengths at home, but seek a professional clinic for anything else. Depending on the severity of the scarring, it can take only a few treatments at home or multiple treatments at a clinic. While the full results may take as much as a year, you should see visible results in as little as six weeks. Be prepared to repeat treatments until you are fully satisfied with the results. There you have it. 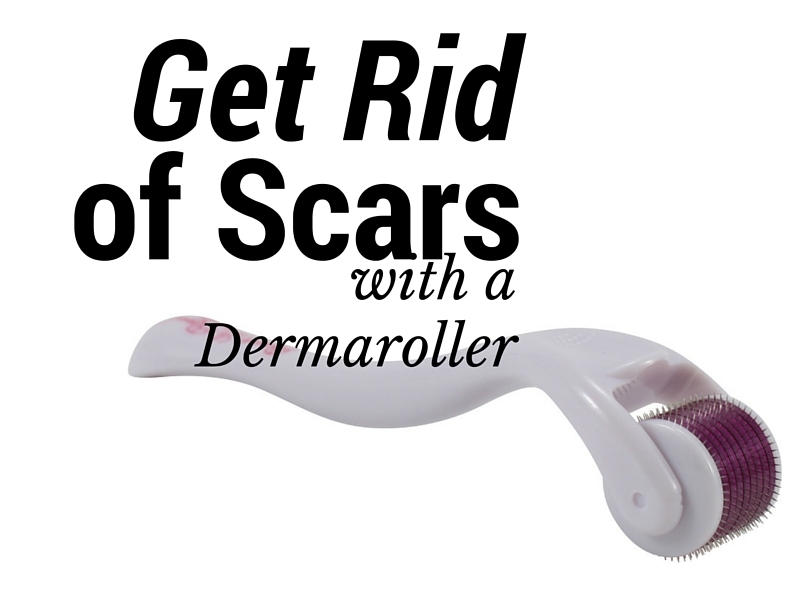 All...or almost all you need to know about Dermarollers and scarring. Will you be purchasing one any time soon? I'll think about it but there's a 50/50 percent chance of that.